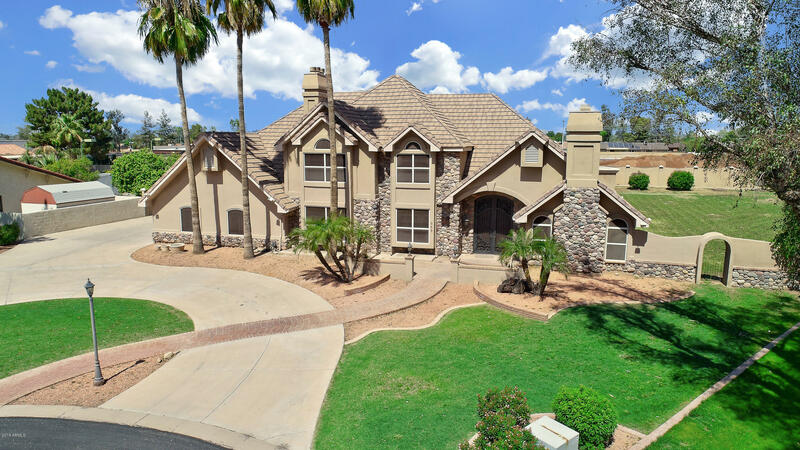 All CIRCLE G RANCHES homes currently listed for sale in Gilbert as of 04/22/2019 are shown below. You can change the search criteria at any time by pressing the 'Change Search' button below. "Absolutely stunning Tudor Style home with a basement on an oversized lot in Circle G Ranches! The custom stone work provides a luxurious introduction. Inside, you'll find vaulted ceilings, ample natural light, exquisite travertine flooring, and a tri-level fireplace. There is plenty of room for the entire family and guests, with 6 bedrooms, 5 bathrooms, gourmet kitchen, formal dining, bonus room, and a full finished basement with over 800 sq ft of additional space not included in the assessor's "